Government Tax Foreclosures Do Not Equal Guaranteed Profit! 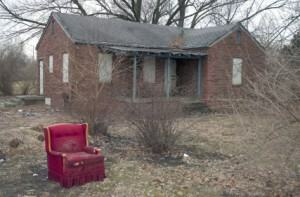 Government Tax Foreclosures: A Sure Moneymaker? 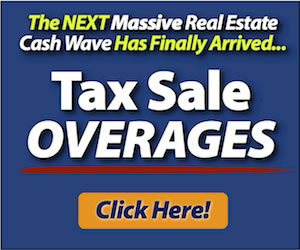 Contacting owners of government tax foreclosures before a tax sale deadline? Checking out properties you’re going to bid on at an upcoming tax sale (not usually recommended)? It’s really important to weed out those pesky worthless properties. It’s amazing how many areas today have pockets with housing stock much of which shows up as government tax foreclosures, and is literally not worth the amount of taxes owed against it. A good way to tell that you’re working an area like this is when you see government obtaining tax foreclosures and attempting to rehab them. If there were any true market, and opportunity for you to profit, there would be competition at the sales. In the name of fighting blight, local governments will often sink vast sums into these properties at a huge loss (they call it a ‘subsidy’). Since you don’t have the unlimited resources of the government, and actually must make a profit, you need to actually obtain properties that are in demand by the marketplace! All for less than the marketplace is willing to pay. The best way to profit from government tax foreclosures is to get lists of the properties nearing foreclosure from the county. Then, contact the owners of those properties while the property can still be redeemed. A quick way to determine if low-end properties in a particular area are worth more than the taxes owed, is to type the zip code for the area into Realtor.com before you get started. See what the bottom 10-20 properties on the market are selling for. If they’re selling for less than $10,000-$15,000, with many in the $5000 range, the area will likely not be very good for quick resale profits. You can, however, often identify properties in these areas that are rentable or may be sold to a fixer buyer on contract. Try to find zip codes where the properties start at $10,000-$15,000 at the very low end, and quickly reach $20,000-$30,000 on the first page of Realtor.com. These areas area ideal for quick-turn profits of $5,000-$10,000. Government tax foreclosures are not a free lunch – but can make you good money if you approach them correctly. 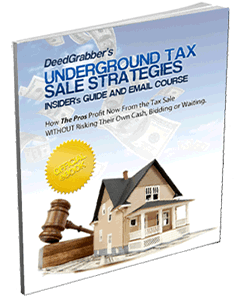 Learn how to profit from government tax foreclosures without bidding or waiting, in my free report, “Underground Tax Sale Strategies”, available below.